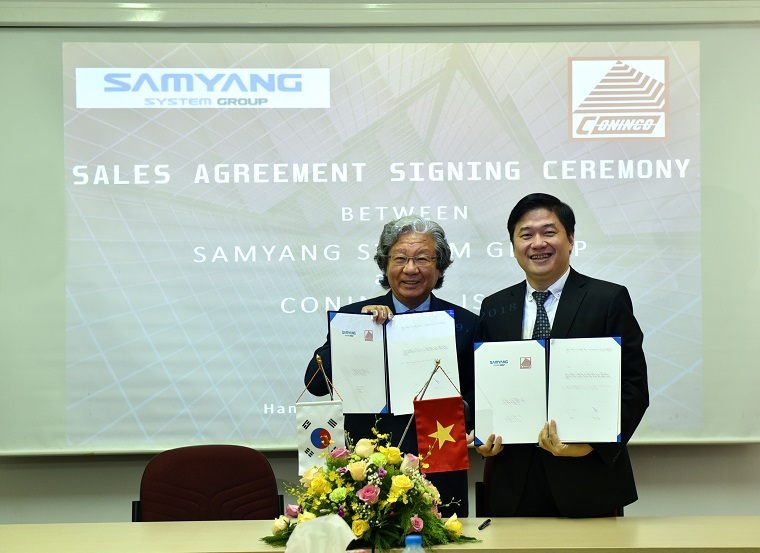 Dr. Ha Minh – General Director of CONINCO (on the right) and Mr. Chang-Duck, Yang – Chairman of SYG (on the left) signing the Agreement. 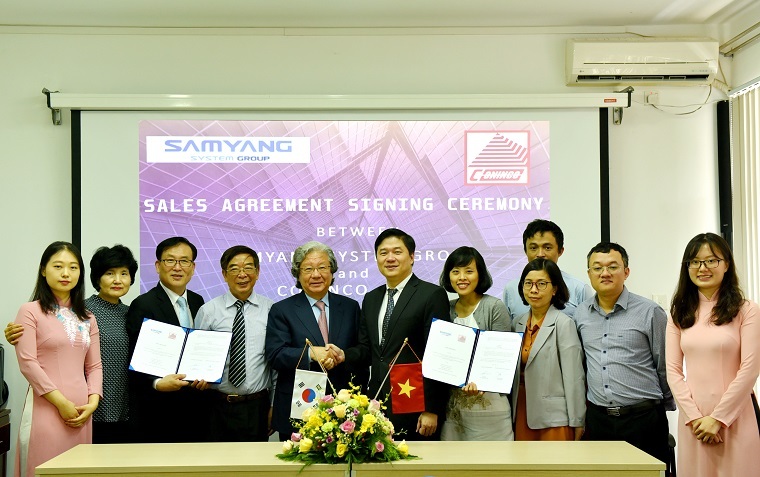 Participating in the signing ceremony, regarding SYG, there were Mr. Chang-Duck, Chairman of SYG, Ms. Hyo-Soon, Kim, SYG Director of Financial Accounting Department of SYG, Mr. Kwan-Jin, General Manager of Trading Department of SYG, and Mr. Tea-Young, Sohn - CEO of Samyang-Arca, a member company of SYG. Regarding CONINCO, there were Dr. Ha Minh - General Director, Mr. Nguyen Huy Anh - Deputy General Director, Mr. Nguyen Dinh Dao - General Director of CONIMEC, Ms. Luong Thi Ngoc Huyen - Director of CONINCO Research Center of Science, Technology and Training, Dr. Nguyen Dac Phuong - Manager of Marketing and International Relations Department, Ms. Dau Thi Thu Dan - Deputy Head of Marketing and International Relations Department, and Ms. Do Thi Ngoc Chau - Deputy Head of Economics and Planning Department. In order to strengthen the multi-year cooperation relationship between CONINCO and SYG, the two sides have promoted this relationship to a new level by deepening cooperation in the field of high-tech products. In the coming time, CONINCO will introduce control valve - new technology products of SYG in the Vietnamese market. 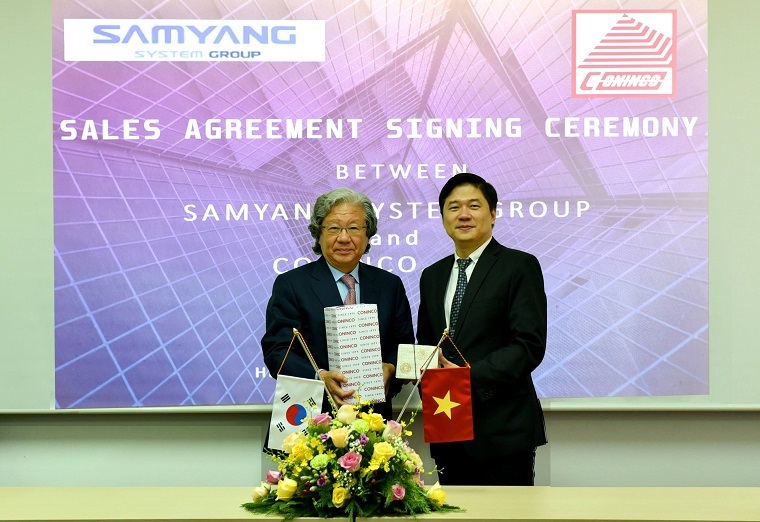 Samyang System Group is one of the world's leading companies in valve technology and systems engineering, and is affiliated with world-renowned universities in the field of research and development of environmentally friendly technology and products. CONINCO has been collaborating with SYG on training human resources in the field of research and development of high technology, by annually sending staffs to SYG headquater in Korea for training and conducting technology transfer. The success of the signing ceremony would contribute to strengthen the relationship between the two parties as well as affirm the brand of CONINCO with international partners, including leading corporations such as Samyang System Group.